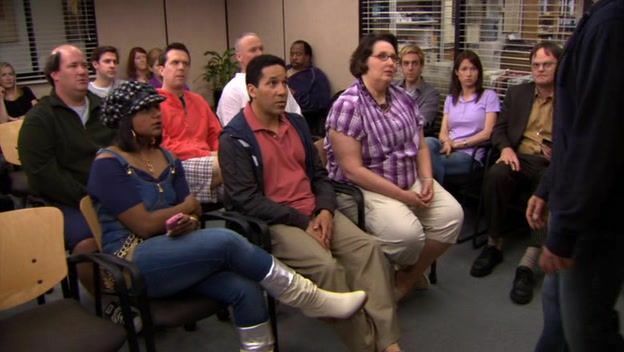 Talk of a revival for NBC’s U.S. version of The Office has been running rampant lately, and while I’m still a little stitious about jinxing such a wonderful thing, that hasn’t stopped every outlet in existence asking the cast about getting the crew back together. Next up, Mindy Kaling, who was not only on the writing staff from day one but also played the increasingly unbalanced customer service rep Kelly Kapoor for all nine seasons. Speaking to Variety about her new comedy Late Night, Kaling certainly didn’t give an answer either way on a return to Dunder Mifflin but did hint she’d probably follow the U.S. Office creator Greg Daniels to most places.